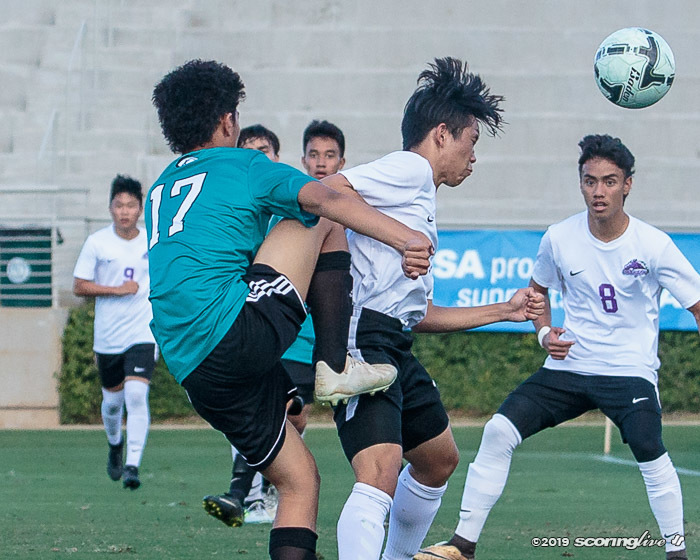 There's going to be a new Division I state championship come Saturday evening. 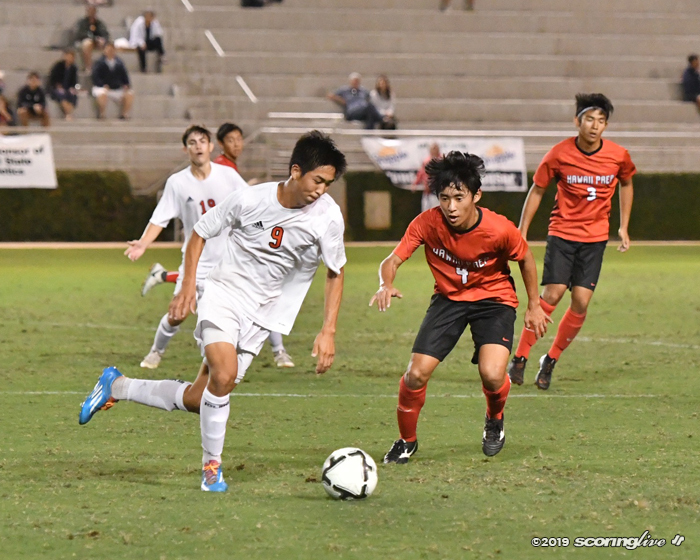 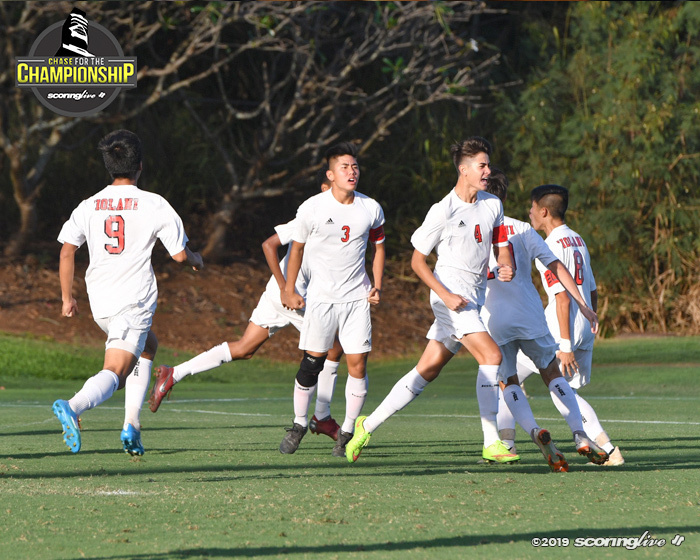 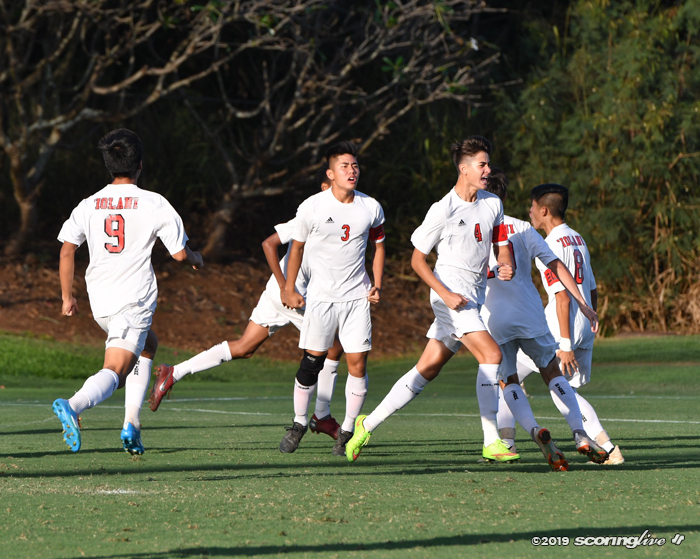 Iolani came firing out the gate as Lincoln Oishi headed in a goal in the first minute of play to help propel the Raiders past Hawaii Prep, 2-1, Thursday evening in The Queen's Medical Center/HHSAA Division I Boys Soccer State Championship quarterfinals at the Waipio Peninsula Soccer Complex Main Stadium. 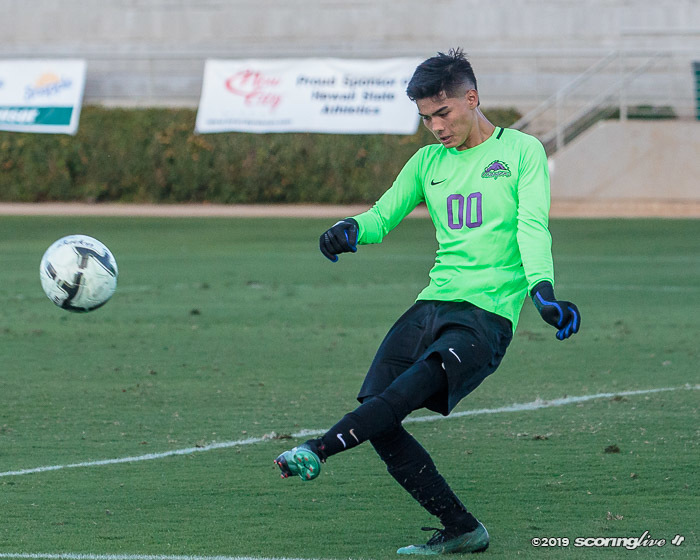 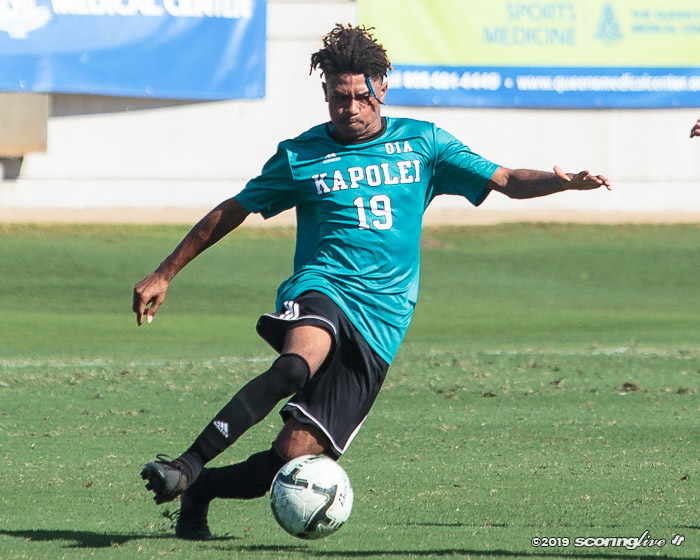 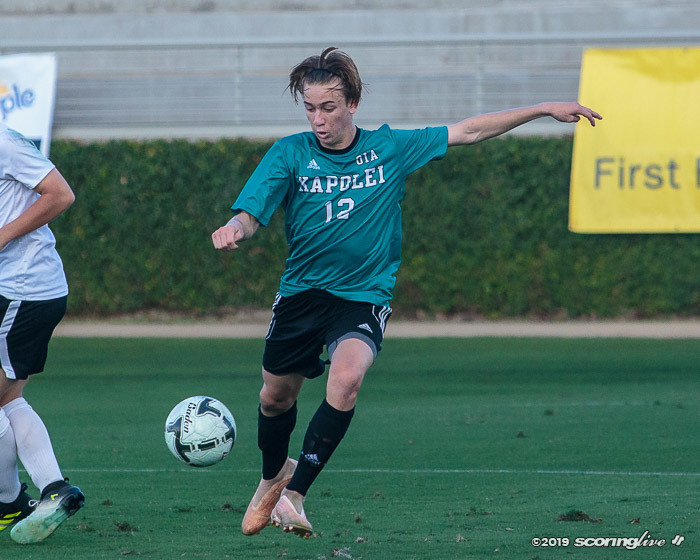 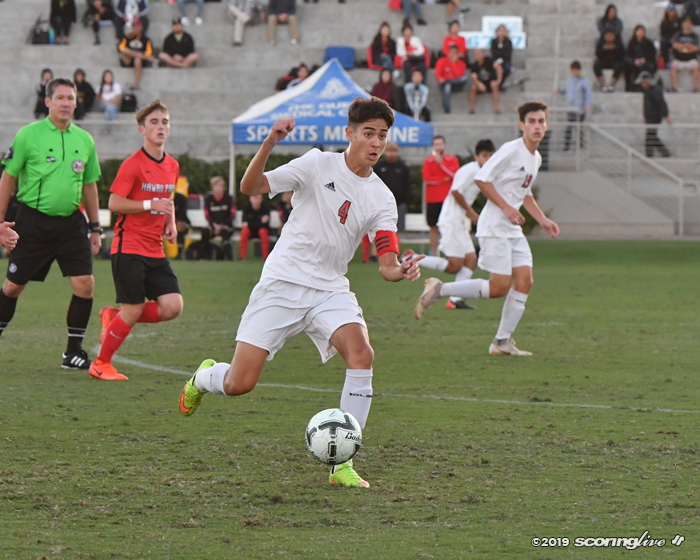 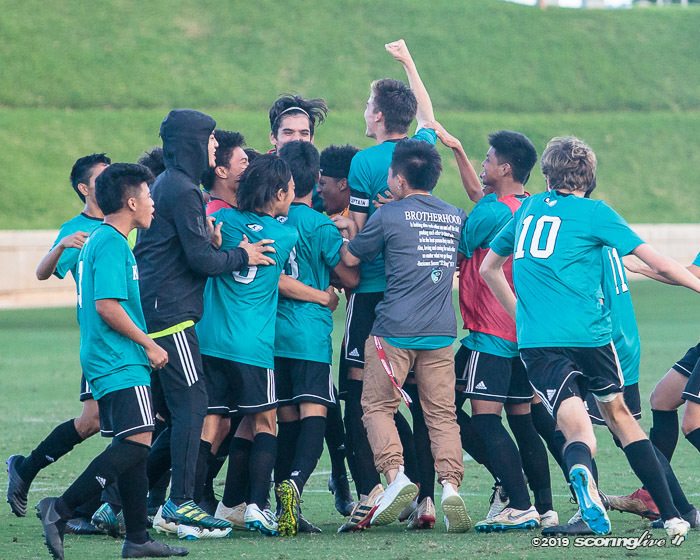 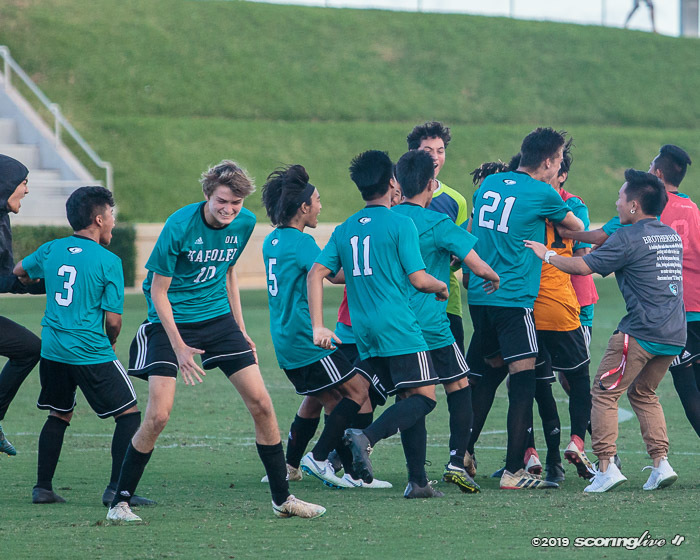 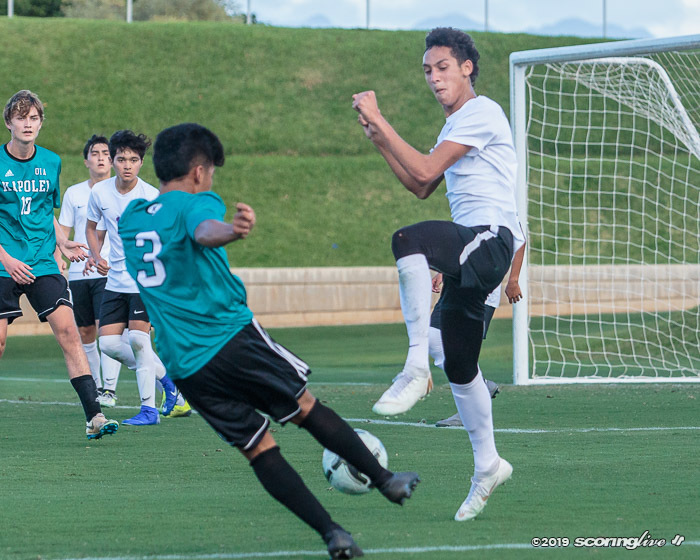 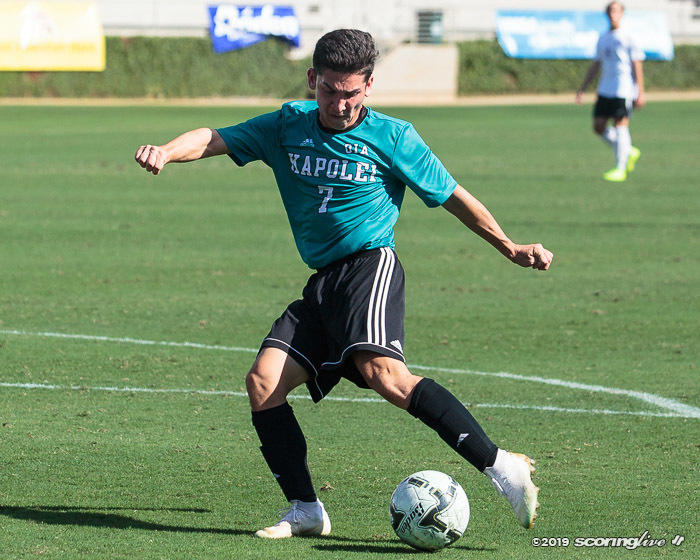 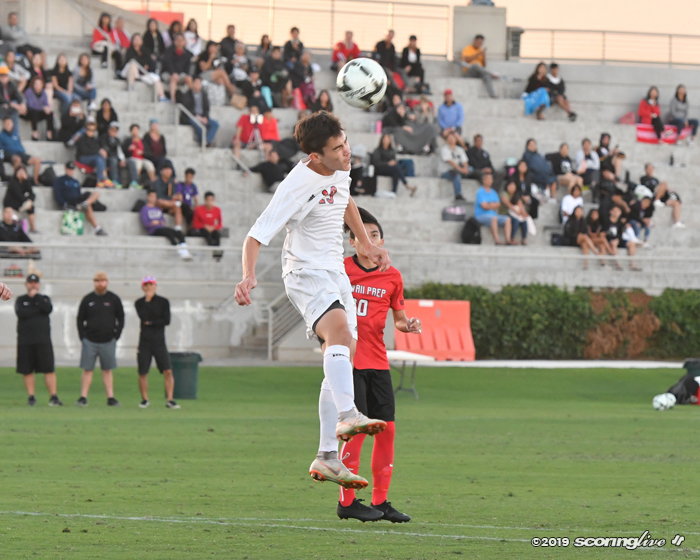 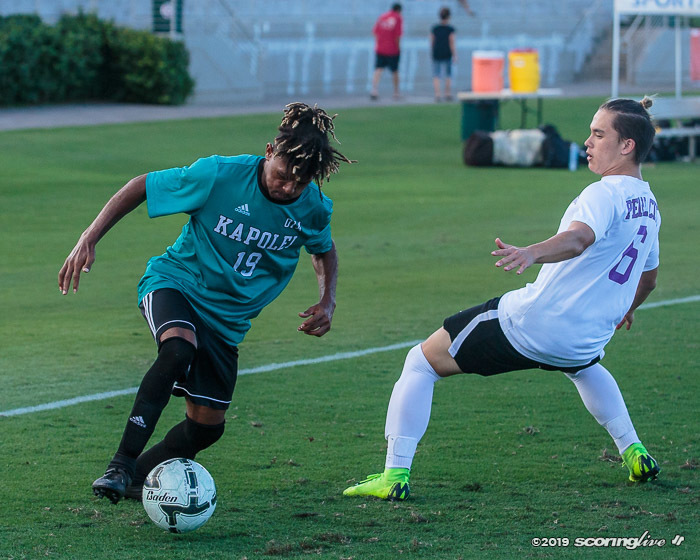 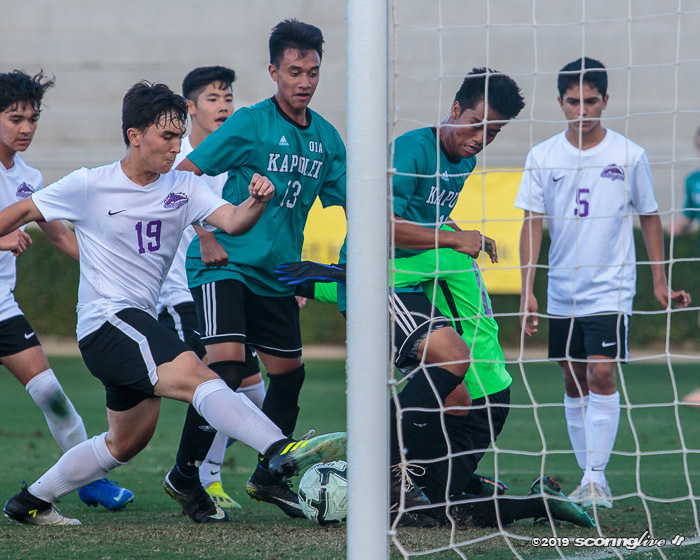 Tyler Udarbe added a much-needed second goal in the 38th minute as Ka Makani's Jake Schneider netted a goal in the 65th minute to try spark a comeback for the defending Division I co-state champions. 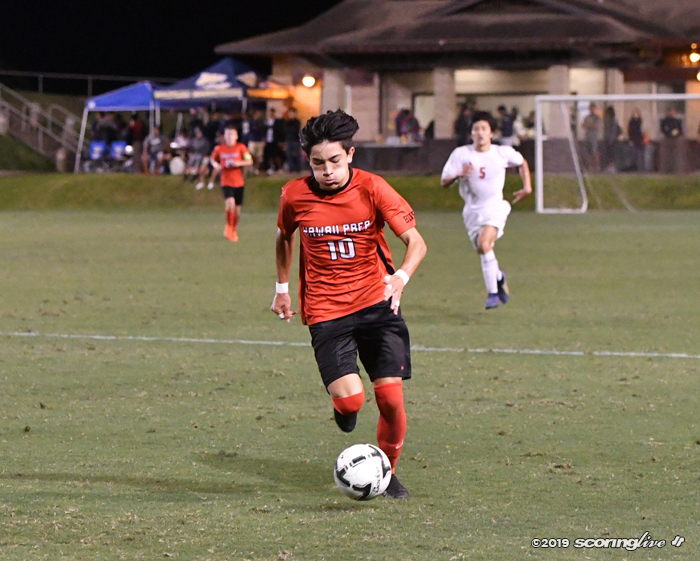 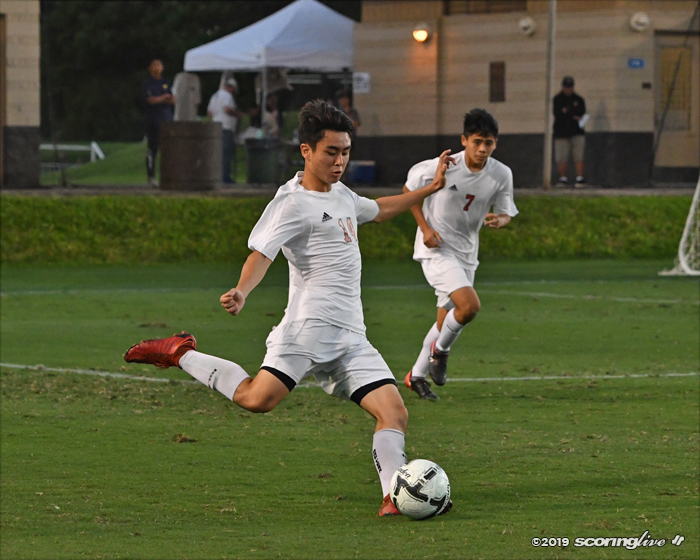 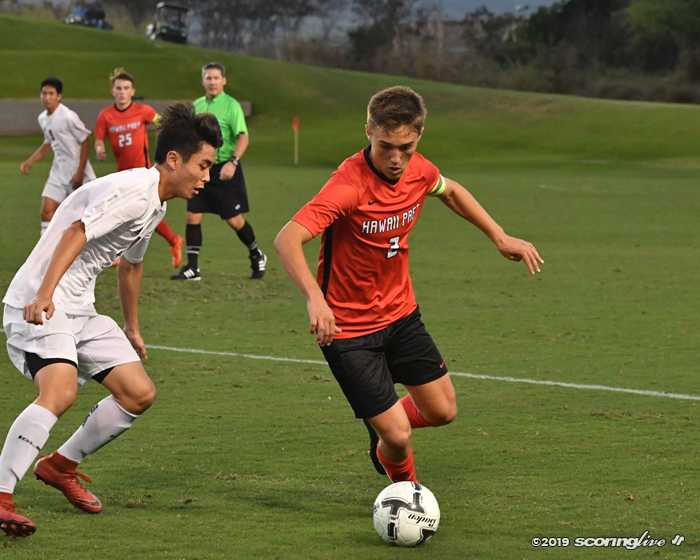 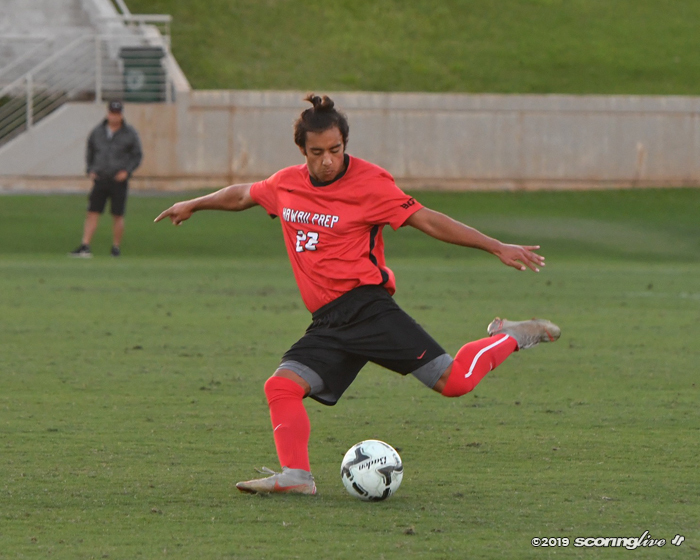 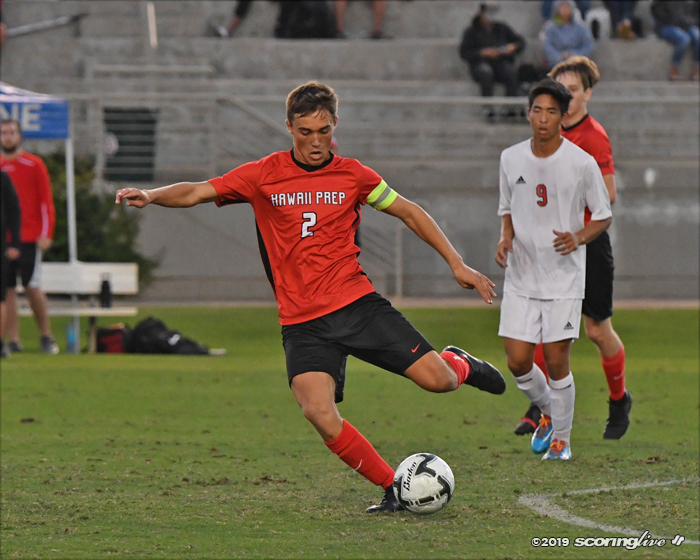 Schneider's goal gave the reigning All-Hawaii Co-Offensive Player of the Year his 42nd on the season, surpassing Hilo's Riley Patterson for most in the state. 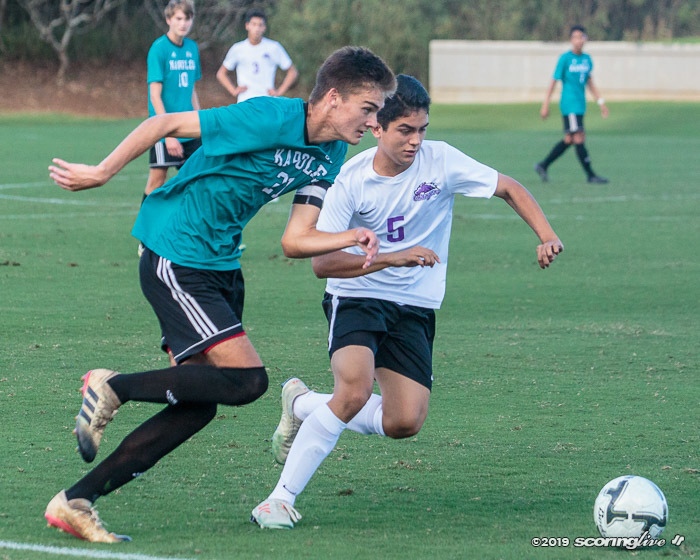 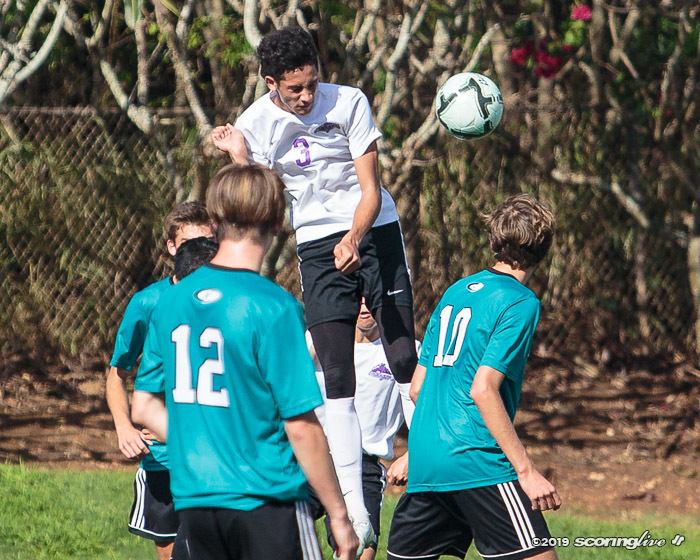 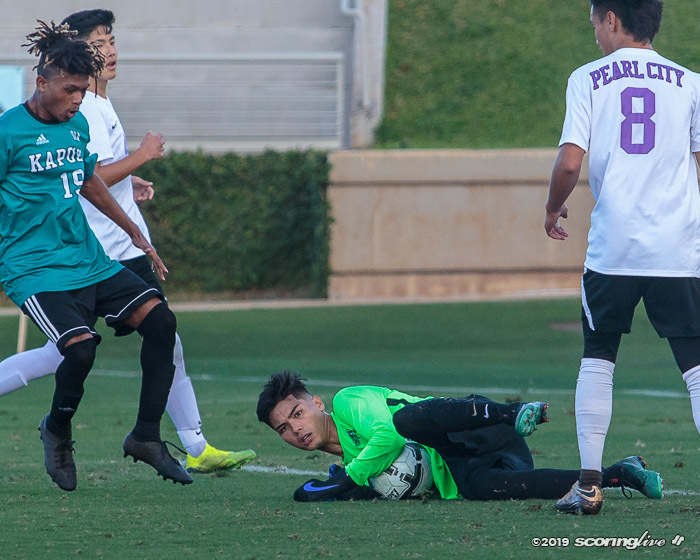 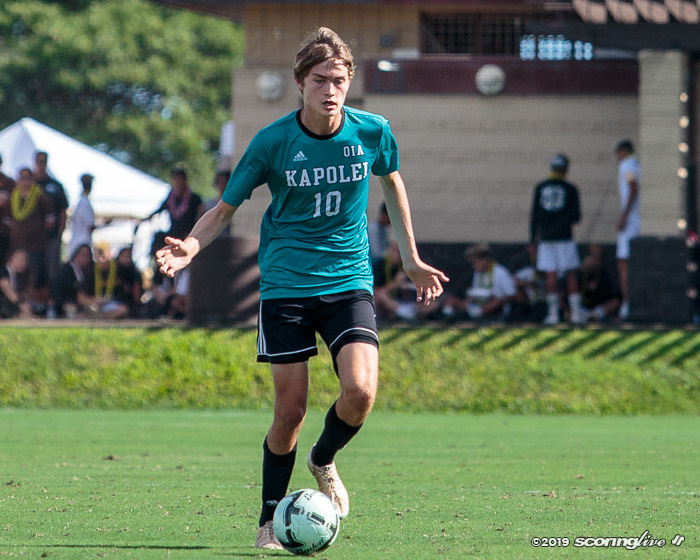 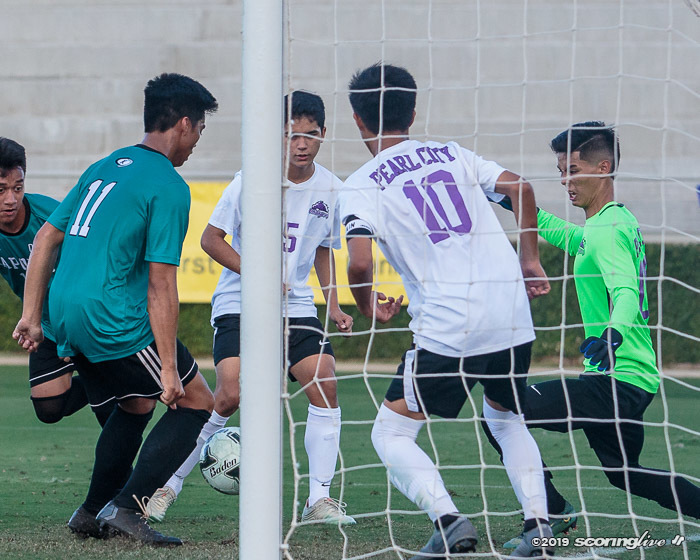 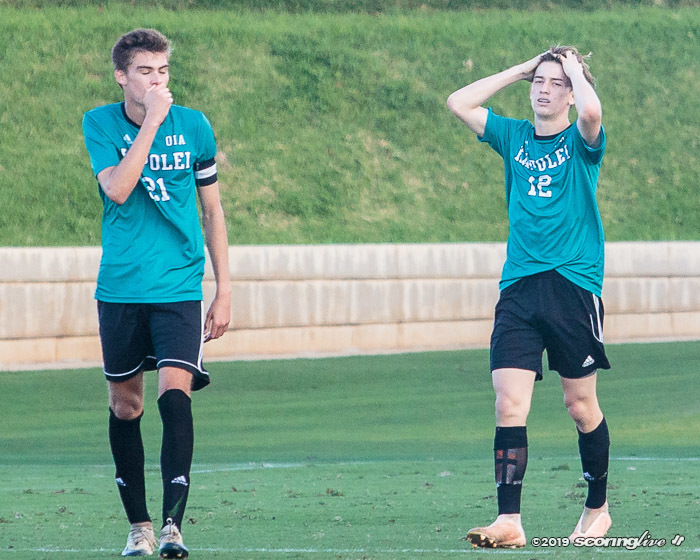 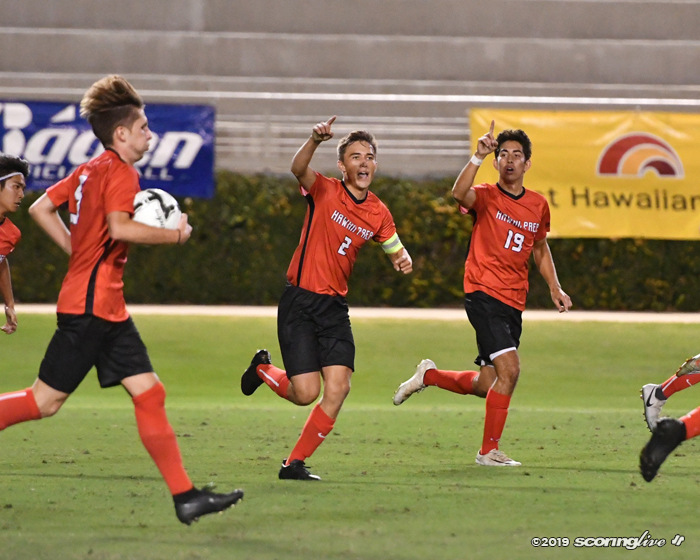 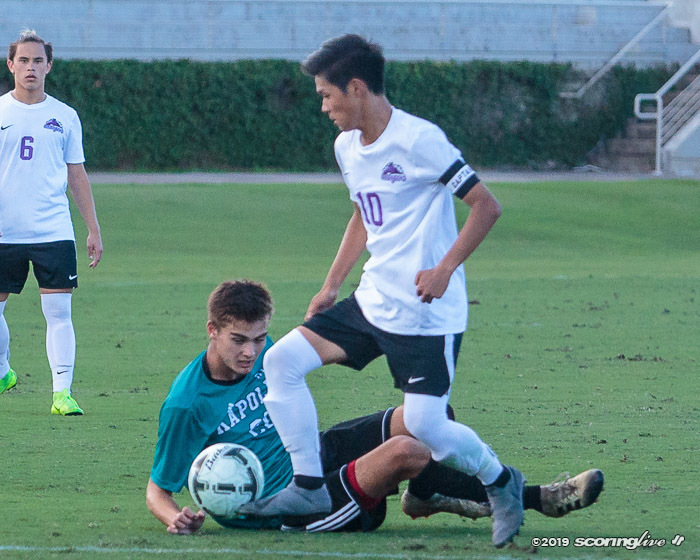 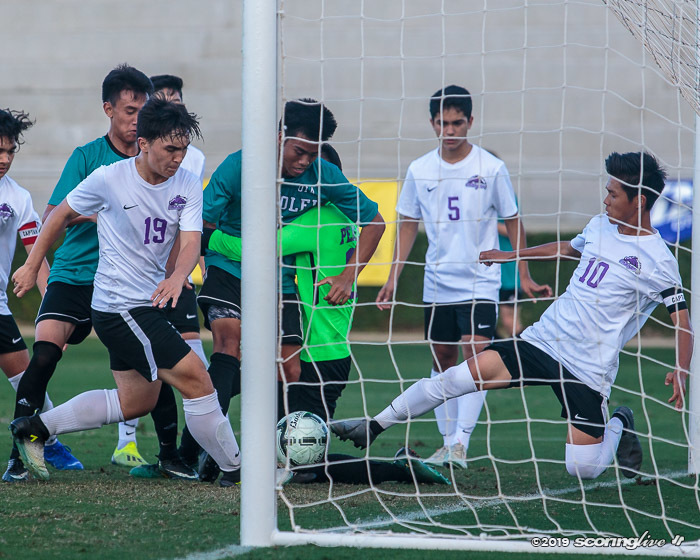 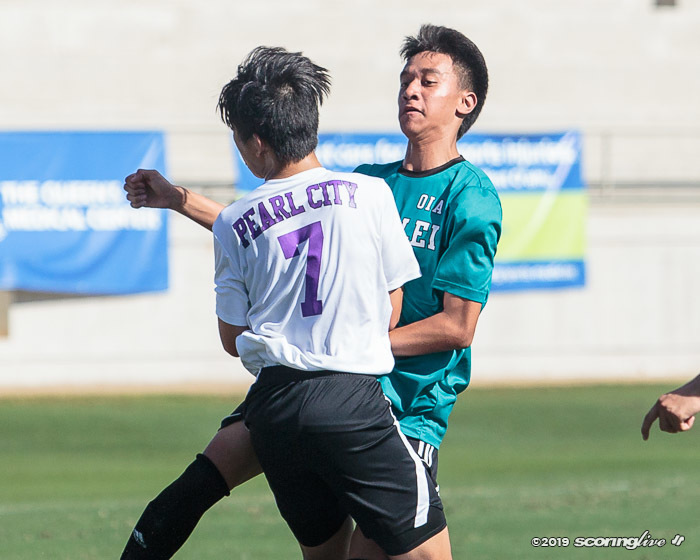 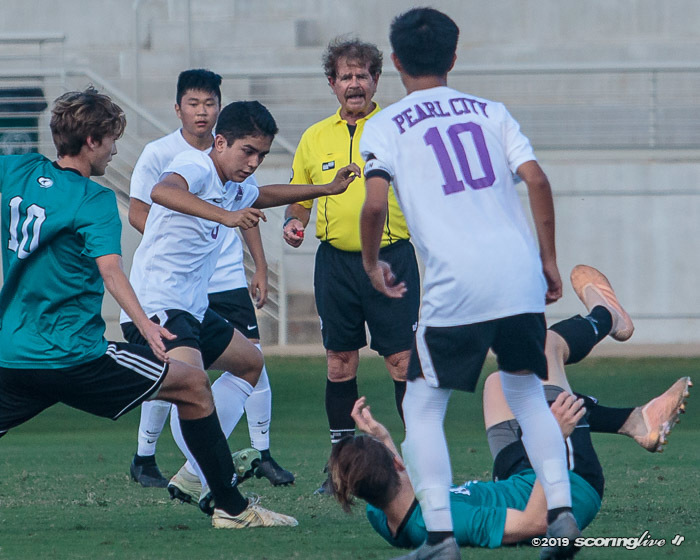 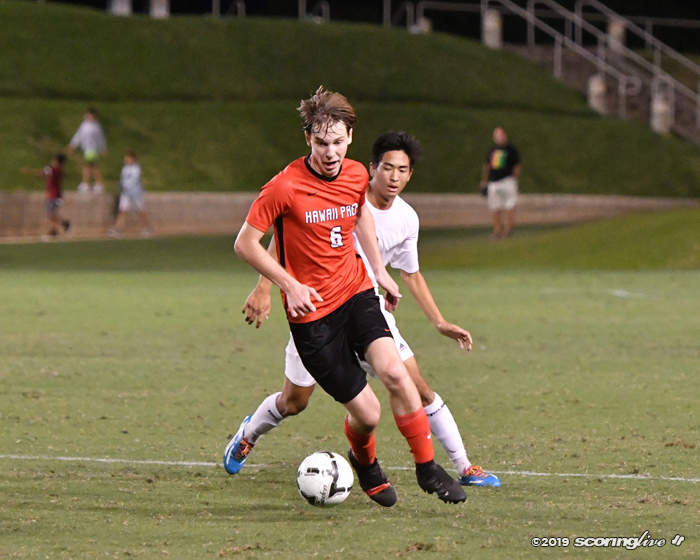 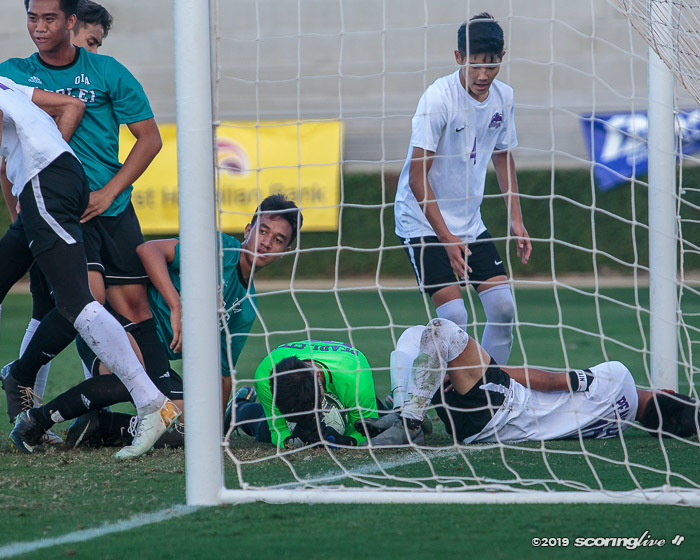 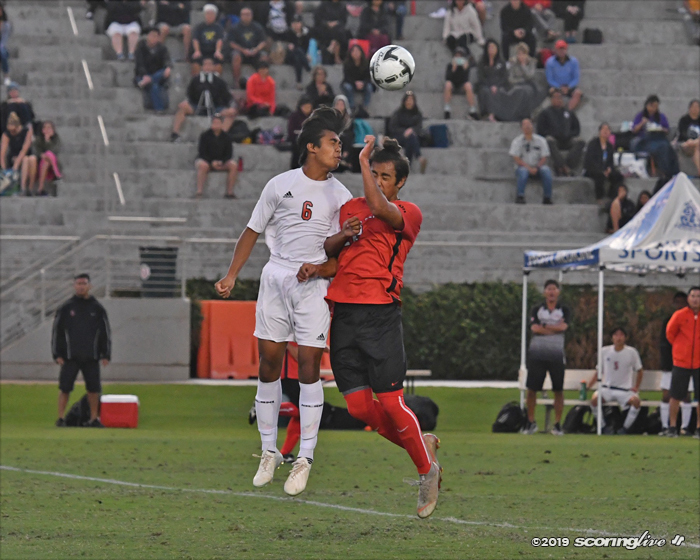 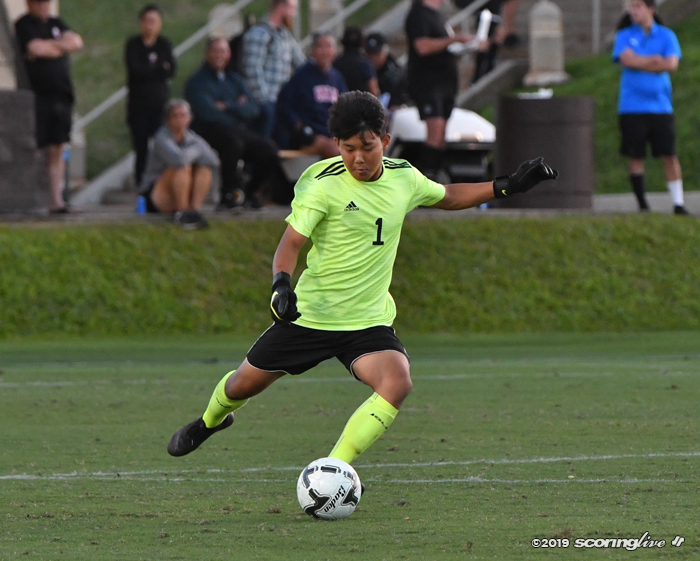 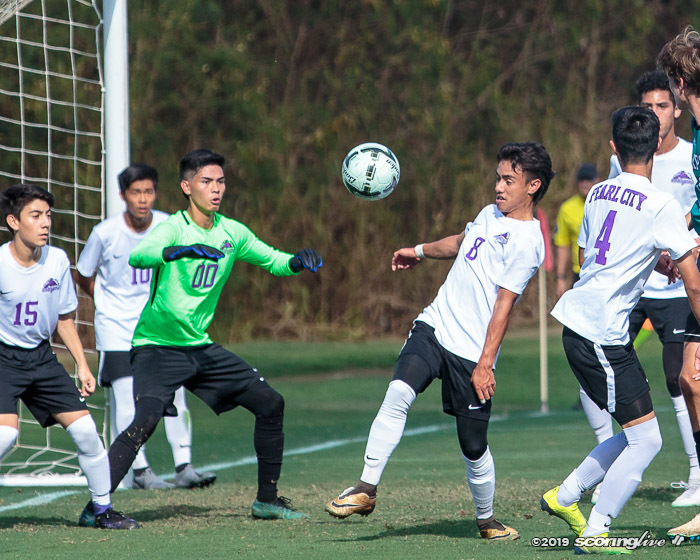 But minutes later, Schneider was given his second yellow card of the match after jawing with Iolani's goalkeeper, resulting in a red card that ejected him and forced Hawaii Prep to play with just 10 players the rest of the way. 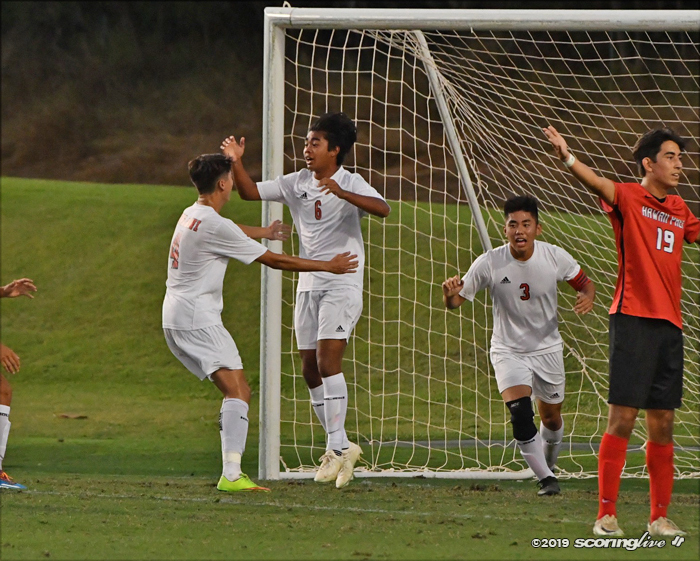 Ka Makani had eliminated the Raiders in last year's state quarterfinals on the way to their third consecutive koa trophy and first in Division I, but Thursday's loss ended their reign and set up a semifinal matchup between Iolani and Oahu Interscholastic Association champion Kapolei. 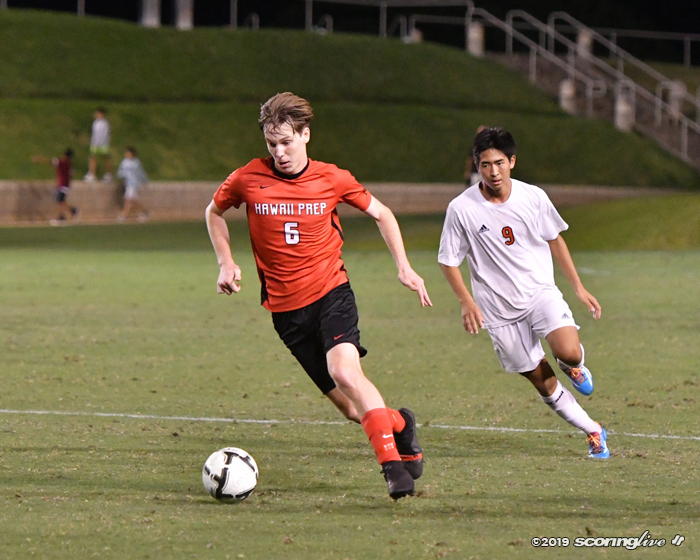 Kickoff is set for 7 p.m. Friday. 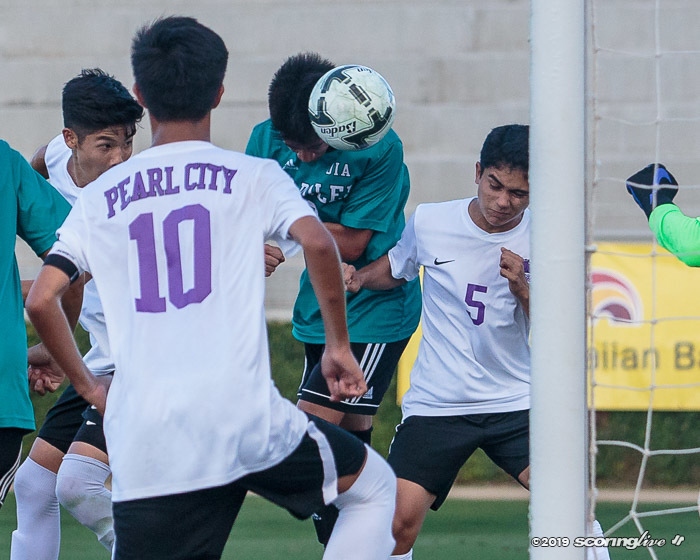 Other co-champ Baldwin was eliminated in the opening round with a 5-3 loss in penalty kicks to Pearl City. 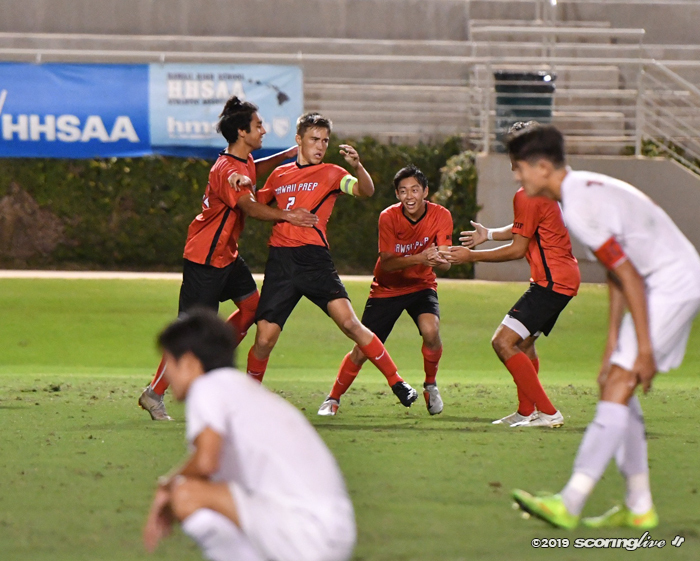 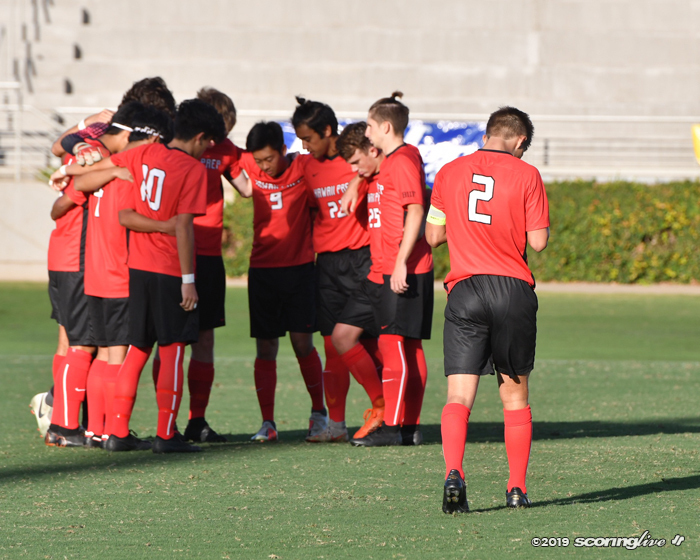 Shortly after Iolani's first goal in the game, senior Elijah Brown suffered an injury and was taken off the field in an ambulance after a 40-minute delay. 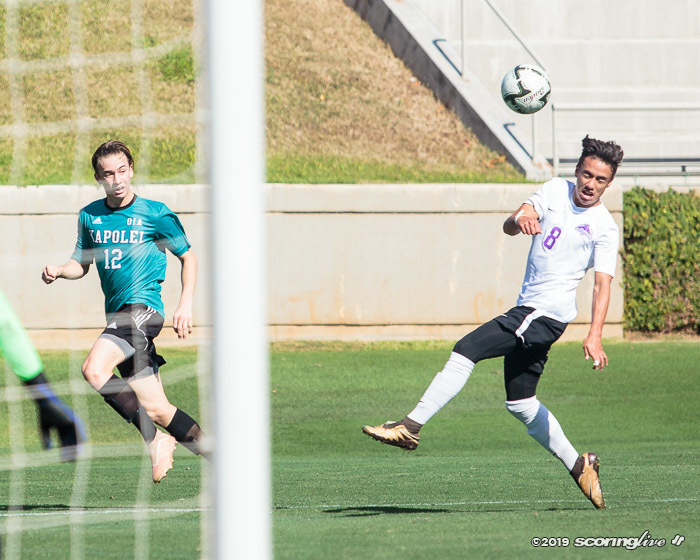 In contrast to Iolani's fast start, OIA champ Kapolei needed extra time to take down fellow OIA West foe Pearl City, 1-0, in overtime of the second game of Thursday's state quarterfinals quadruple header. 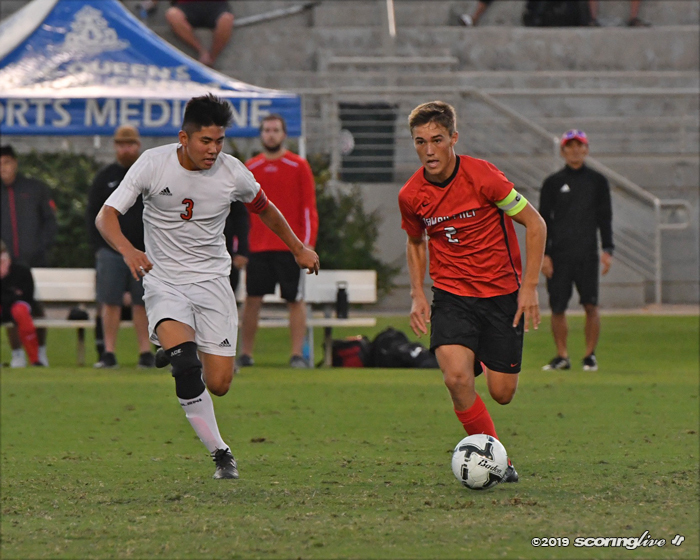 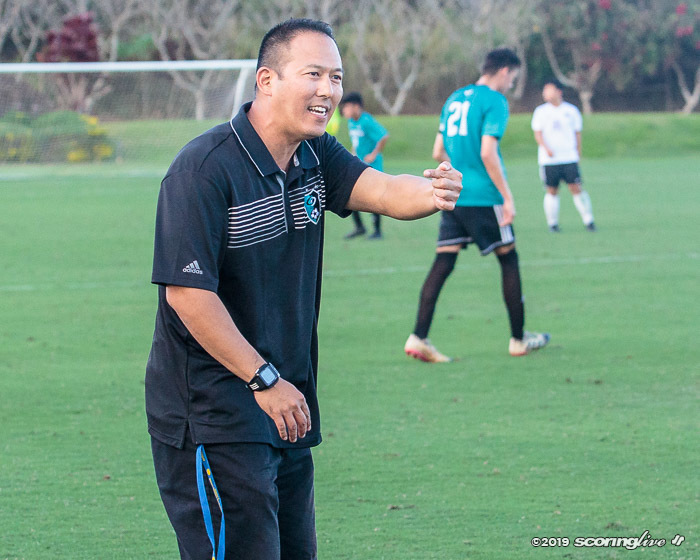 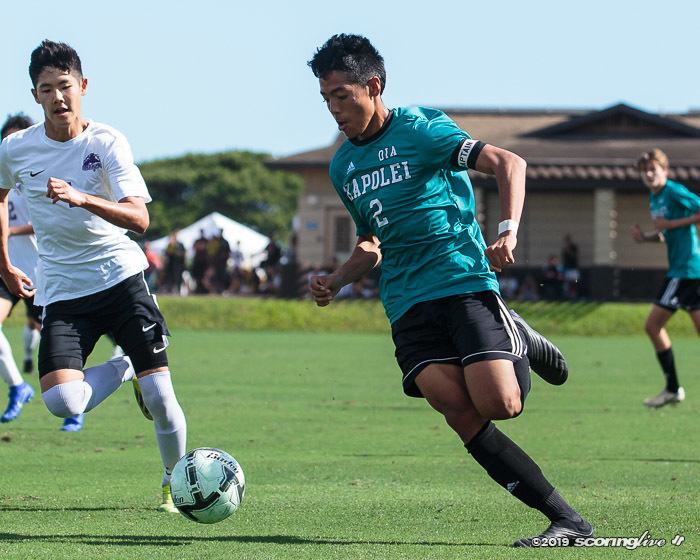 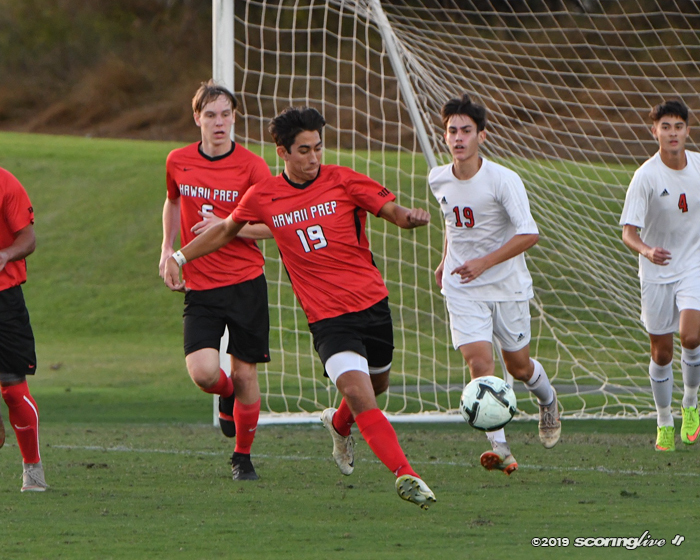 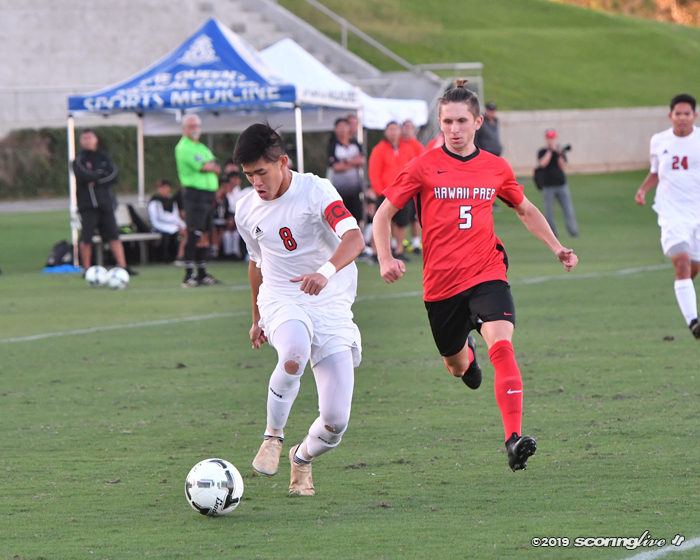 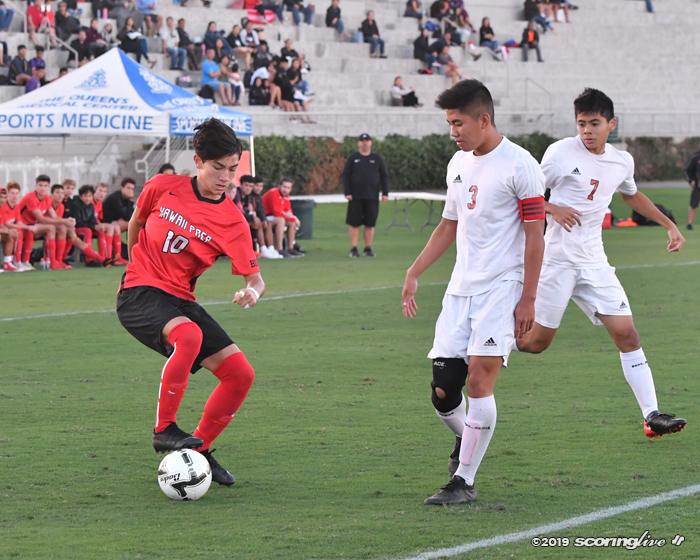 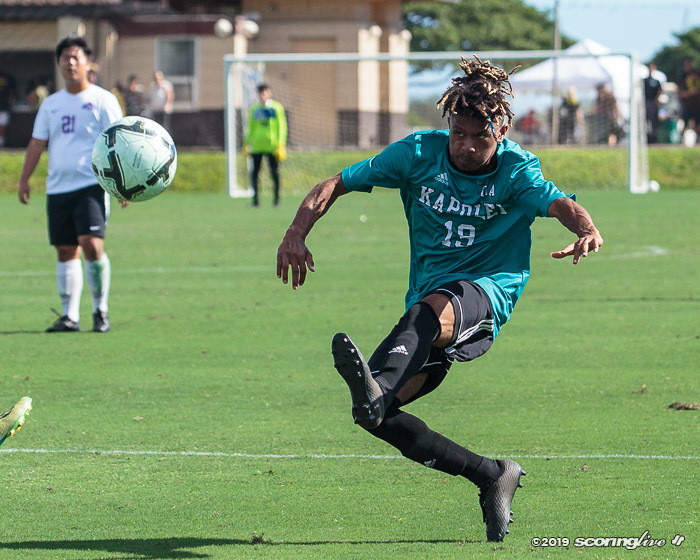 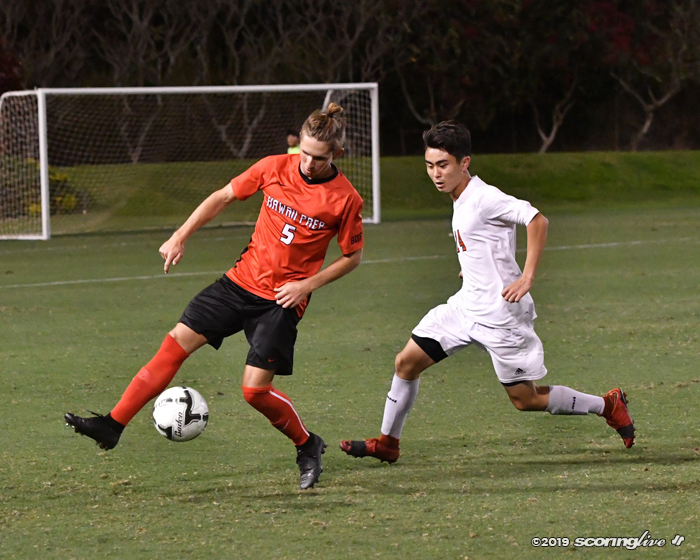 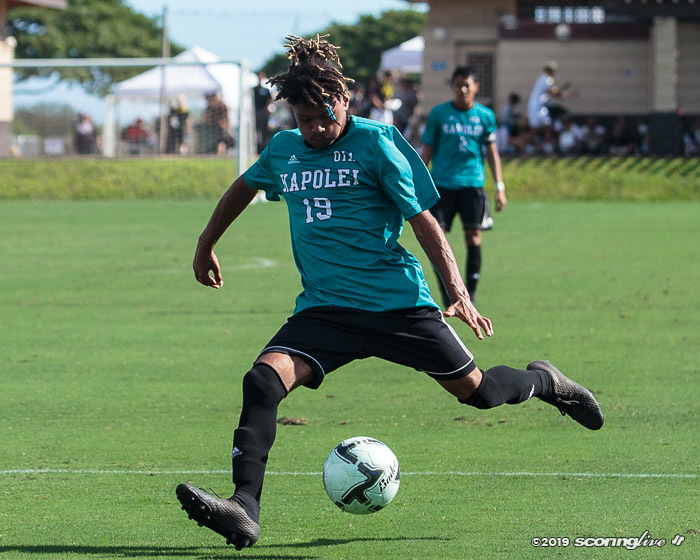 The two teams had previously met Dec. 27 with the Hurricanes winning, 3-1, off two goals from Tommy Mascaro-Keahi, whose corner kick Thursday afternoon found the shoulder of Braden Bantolina that batted the ball in for the golden goal in the 82nd minute. 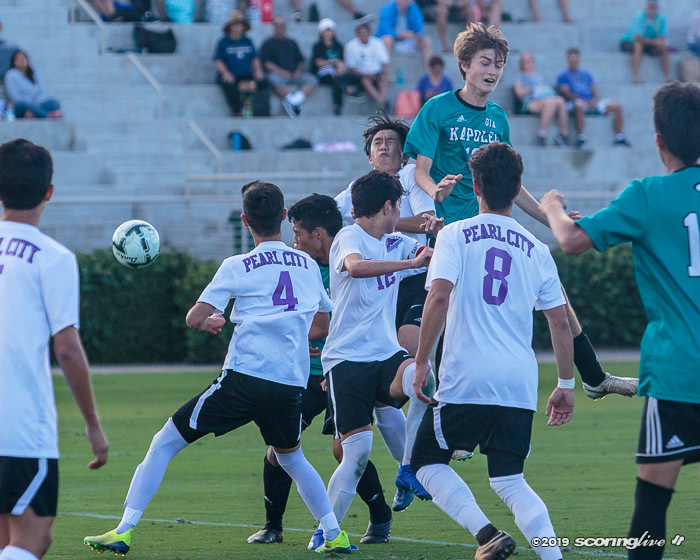 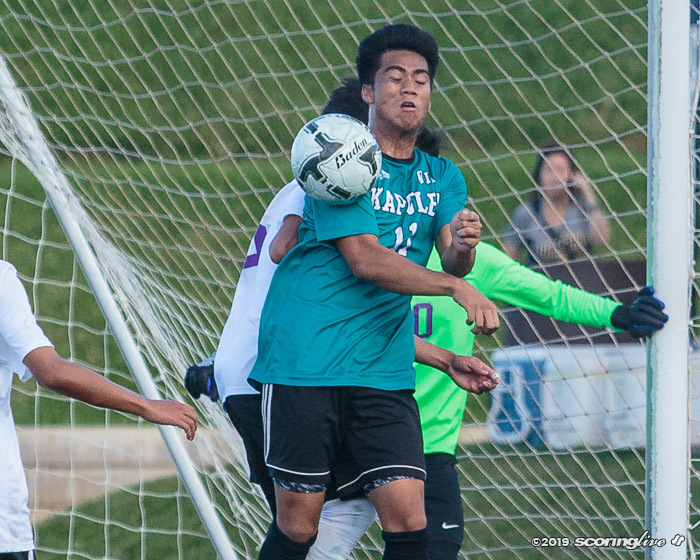 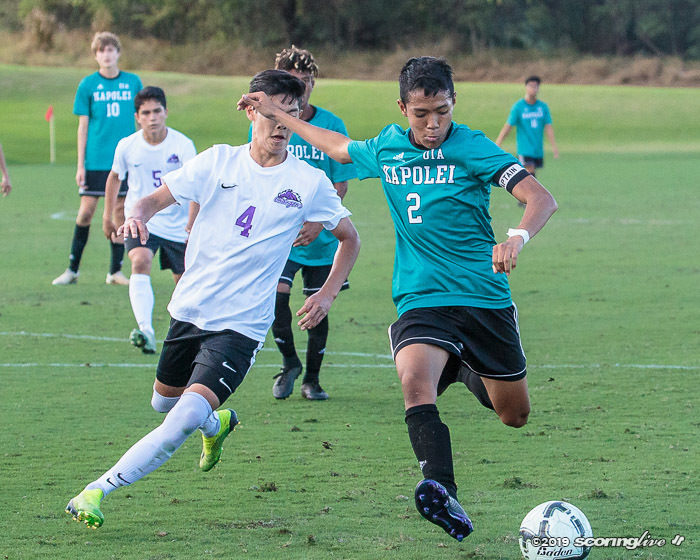 Kapolei kept pressure on Pearl City for most of the match and missed a handful of good-look scoring opportunities as the Chargers defense remained strong. 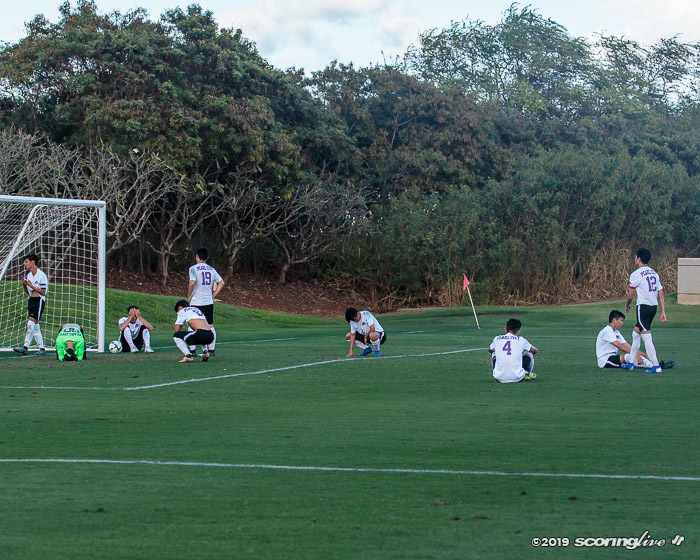 The Hurricanes have still only given up four goals on the season. 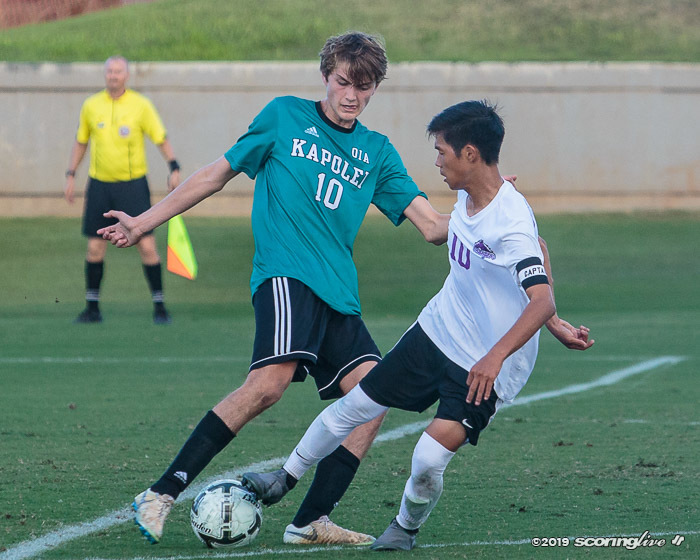 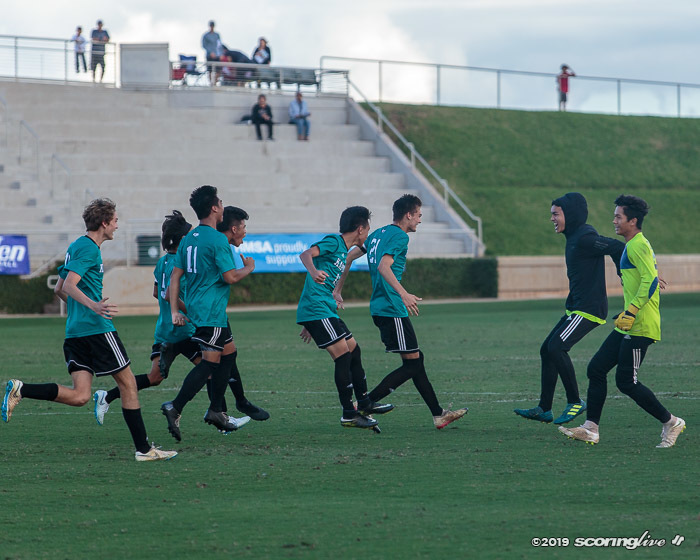 Kapolei and Iolani played each other last year in the state tournament fifth place game with the Raiders coming out on top, 1-0. 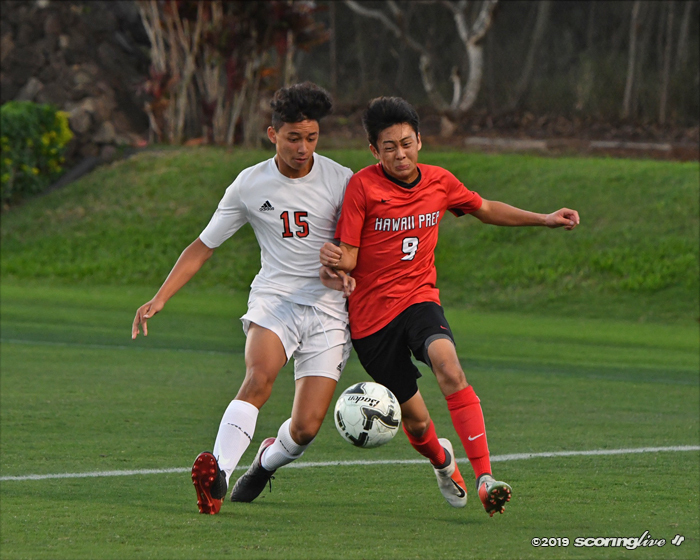 The winner of Friday night's matchup will play the winner of the preceding match between Miliani and Punahou.